PRLog – Aug. 29, 2010 (MWA-Net) The recent controversial decision of Park51 organizers to construct an Islamic center/mosque in the area of downtown Manhattan, otherwise known as 'Ground Zero', NY (or 'hallowed ground'), highlights a spike in the increase of Islamophobic, hate-filled rhetoric spewed out daily from certain media outlets, bloggers and even politicians. It is evident, now more than ever, that a need exists for an immediate influx of 'good' Muslim news. 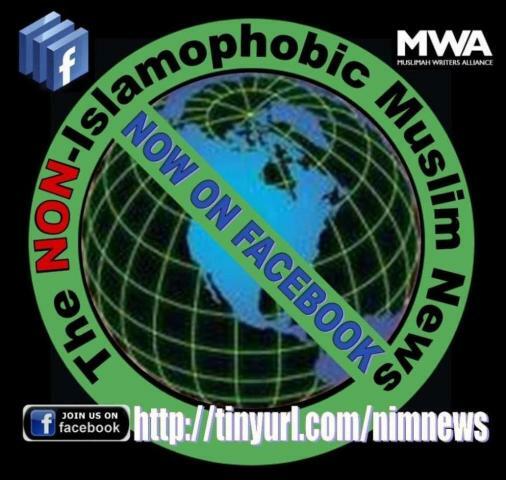 In an effort to bridge the gap in resources available to the public for learning more about the positive contributions members of the Muslim community are making not only in the United States, but worldwide, Muslimah Writers Alliance (MWA) announces a new Facebook campaign, 'The NON-Islamophobic Muslim News' (NIMNews). Similar to the concept behind MWA's Muslim Women Making History project, which focuses on the achievements of Muslim women, NIMNews aims to showcase worldwide Muslim community member news, stories, and events, in an effort to provide the general public, and the media, with easy access to 'NON-Islamophobic Muslim News'. As recently reported Facebook now has over 500 million subscribers. What better free Muslim community news resource and advertising/promotional venue could there be? Now it is up to you, the Muslim community member. Are you tired of the Muslim-bashing propoganda and Islamophobic outpouring of hate-filled rhetoric reported daily? This is your chance to be a part of the wave of change. The nation and in fact, the world, has been waiting for President Obama to make all the changes; but the Muslim community has to own its share of responsibility for how the world perceives Muslims and the Islamic faith. It's time to clean up our own back-yards, step-up-to-the-plate, and be participants in the change we want to see in the world. Join MWA in sharing your Muslim community news, events, stories, photos and discussions. Visit NIMNews with just one click.